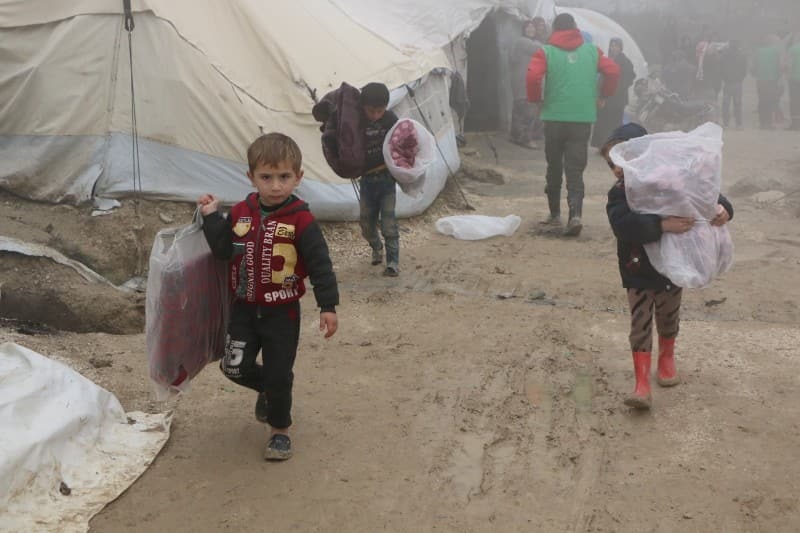 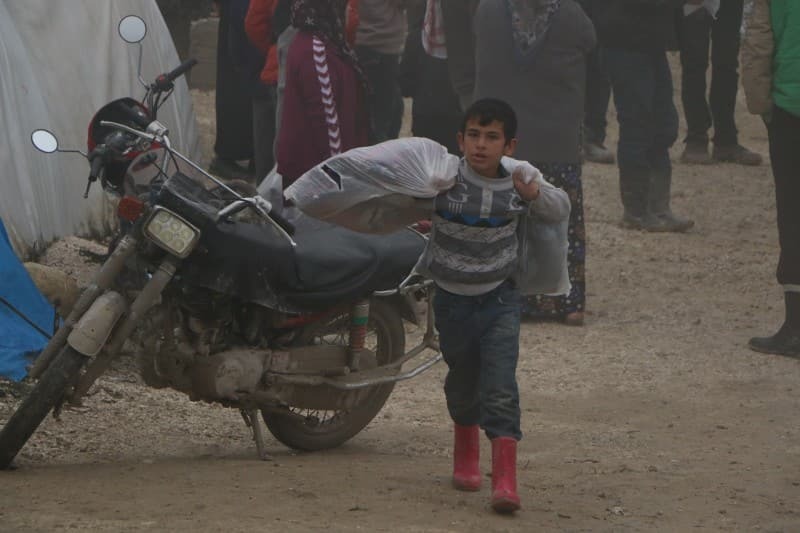 In Syria’s north, winter has hit the refugees especially hard. 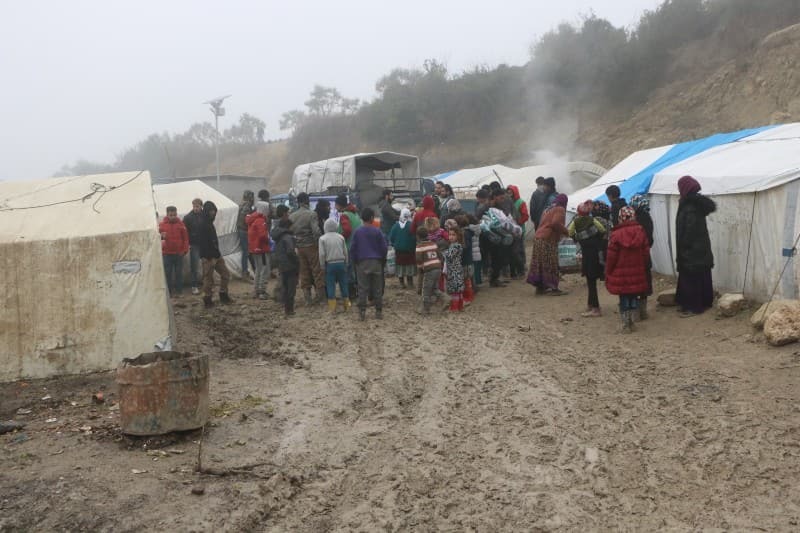 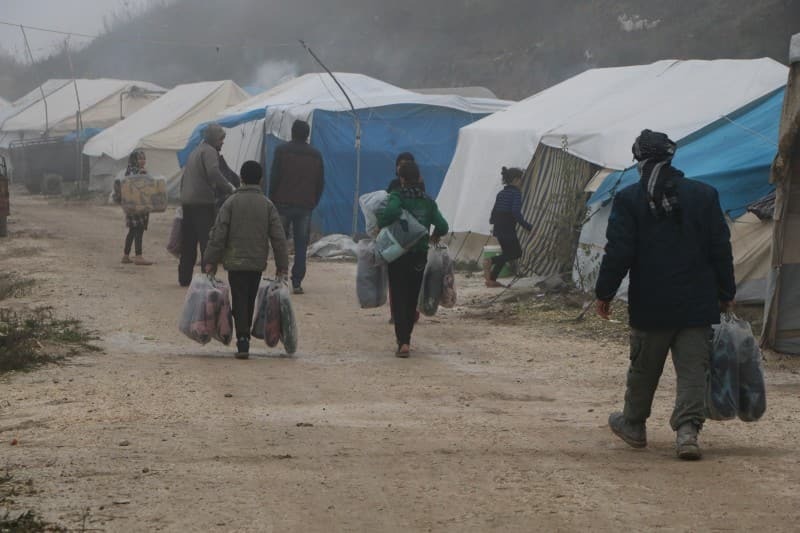 Recently, raging floods and harsh winter storms blazed through the camps, leaving several inches of mud on the ground outside and inside on the floors of the tents. 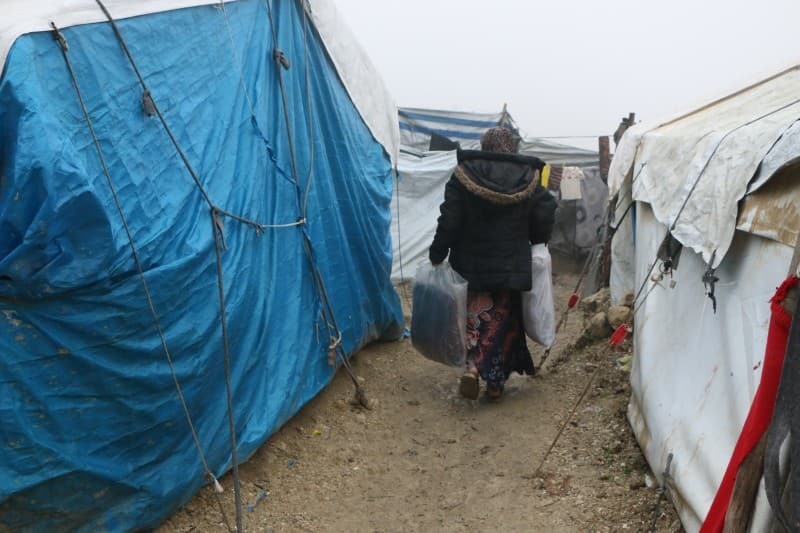 In four camps, these storms have completely destroyed or washed away whole tents and many of the refugees’ meager belongings. 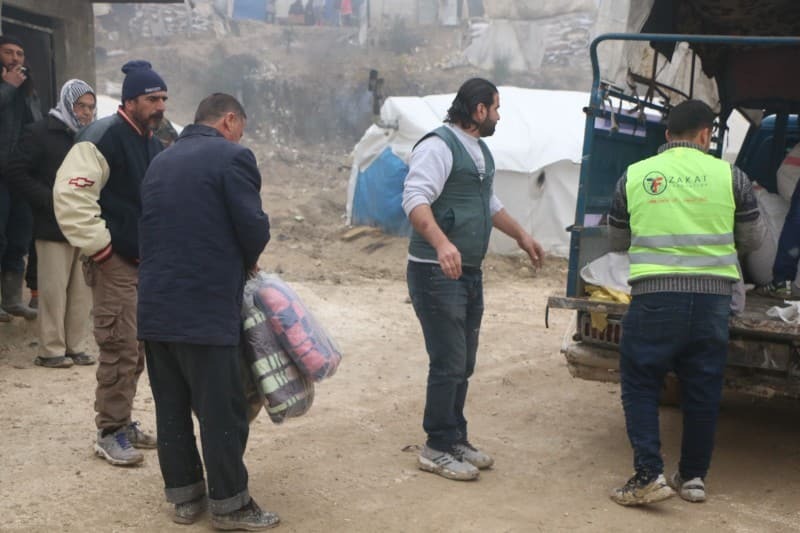 Surviving residents are forced to make room for strangers, leaving not even a moment of privacy or a glimpse of hope toward their future. 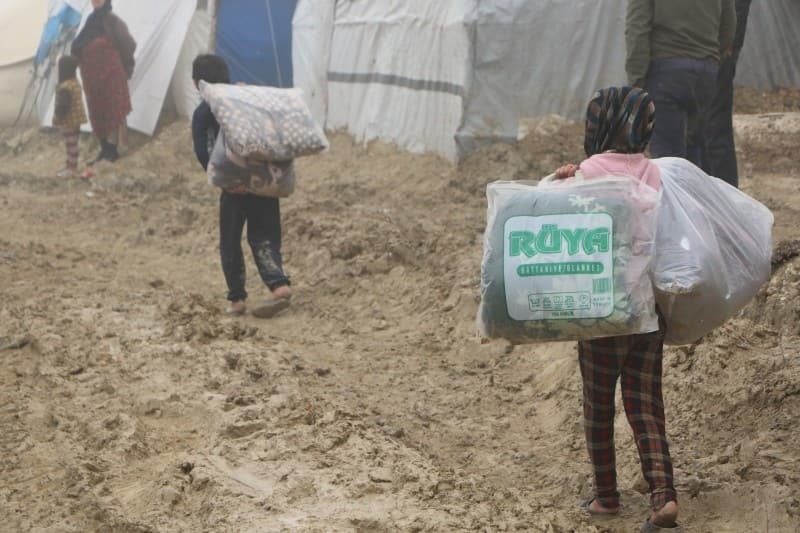 Little ones whimper in the dark from the cold and hunger, and mothers pull them tight to share body heat. 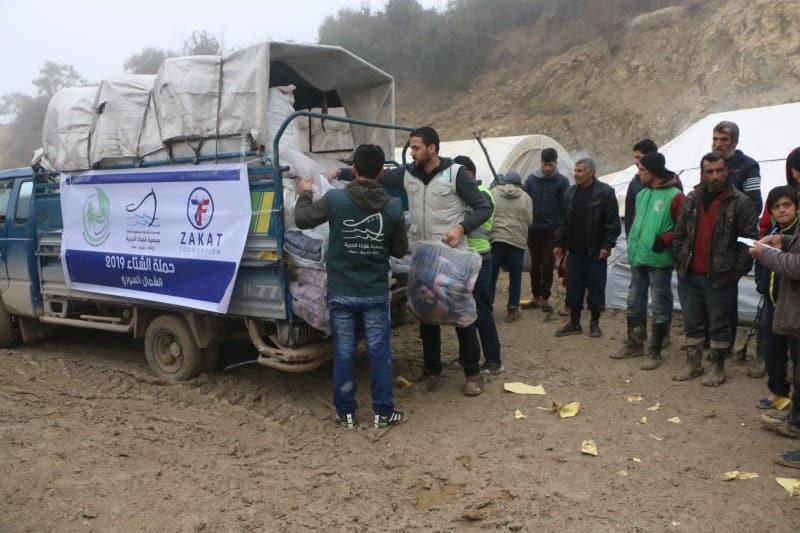 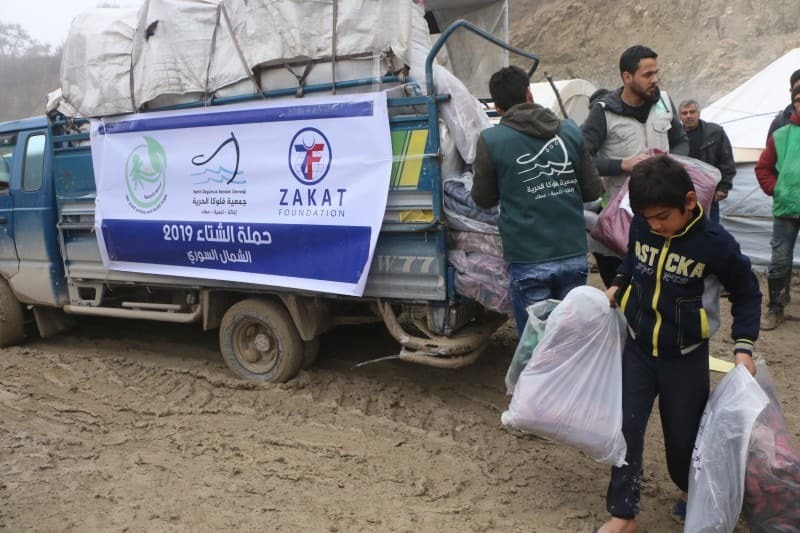 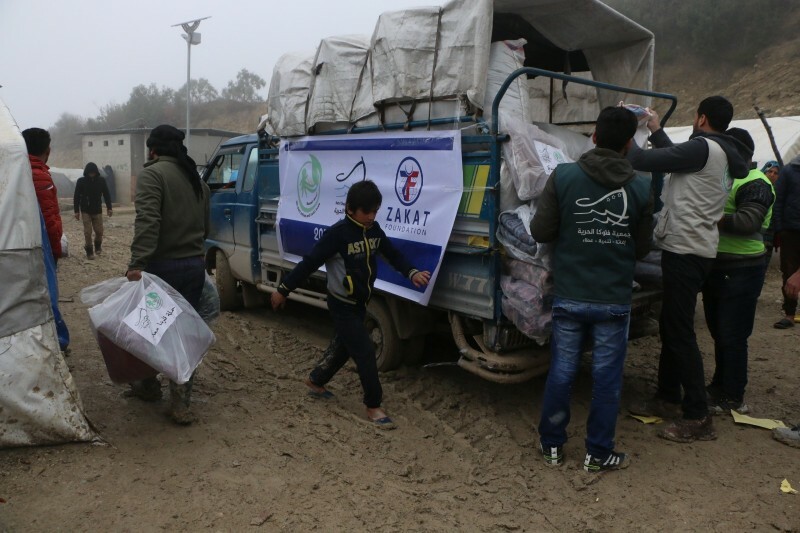 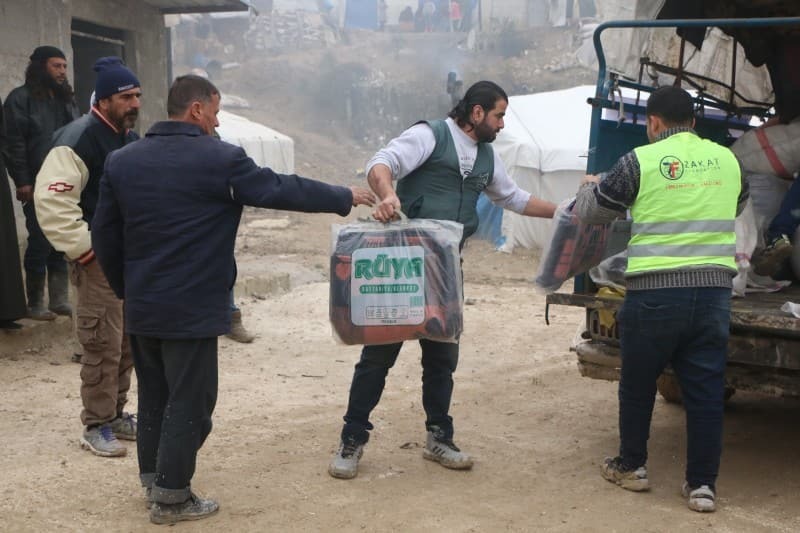 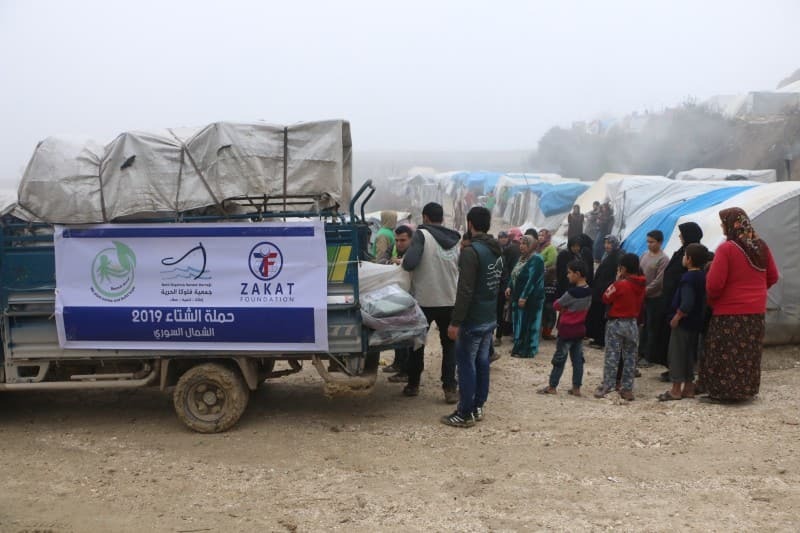 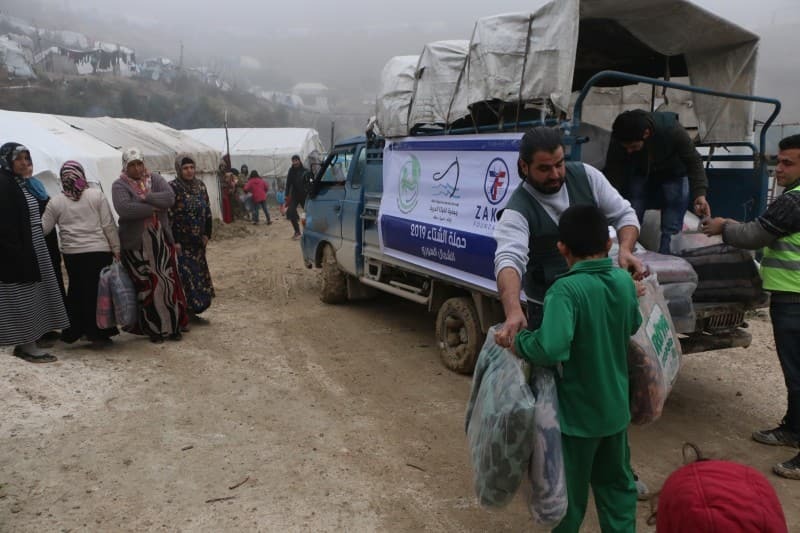 Zakat Foundation, with partner Basmat Amal, delivered life-saving winter relief items to 7,200 refugees from three camps in Idlib and another in Aleppo, thanks to generous collection efforts made by concerned Chicagoland communities. 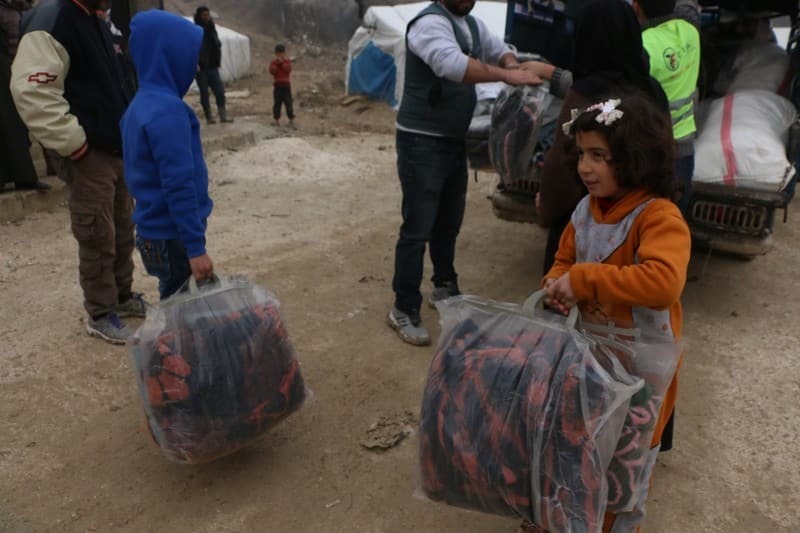 These kits contain winter jackets, boots, heavy socks, hats, gloves, scarves, and toys for the kids, and also medicated shampoo for 775 students who have become infested with lice. 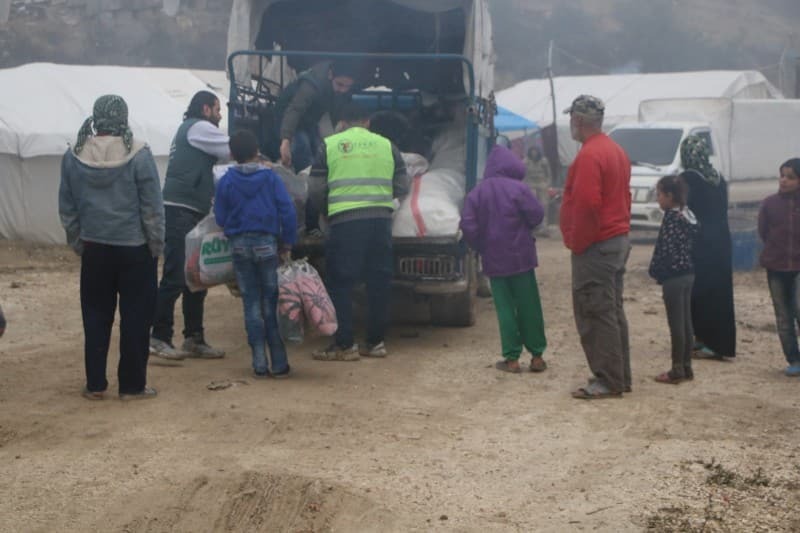 Additionally, 1,000 residents were given warm blankets, and another 1,000 received plastic sheeting for their tent tops to provide protection from the weather.